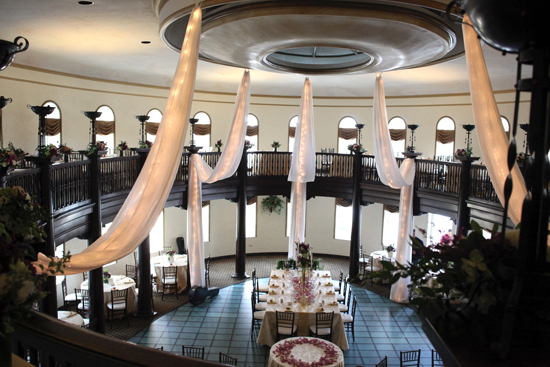 Allison and Ian were married at St. Patrick's Church in downtown St. Charles, Illinois and celebrated their reception at the historic Hotel Baker overlooking the Fox River. 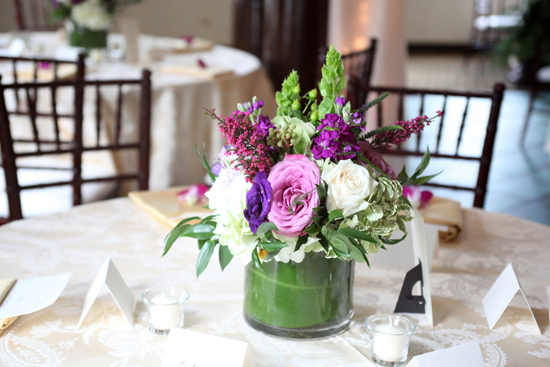 Allison and Ian's colors included purple, green, cream and gold. 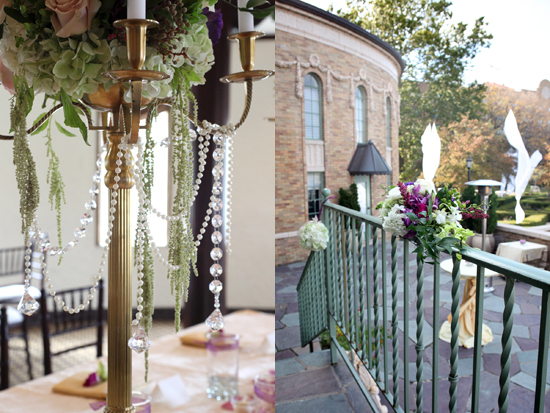 The couple wanted a look that was rich and textural with touches of gold, bling and pearls wherever possible. 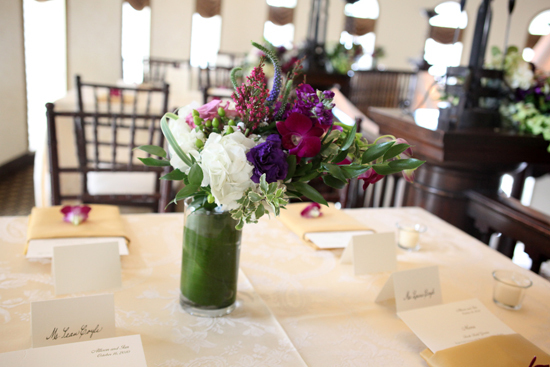 A large assortment of flowers and foliage were used to achieve this regal look, including Bells of Ireland, hydrangea, callas, lisianthus, Heather, hypericum berries, brunia, Italian Pittosporum, Italian Ruscus, Ivy, ti leaf, lily grass, hanging Amaranthus, roses, spray roses, Veronica, stock, cymbidium orchids, and dendrobium orchids. 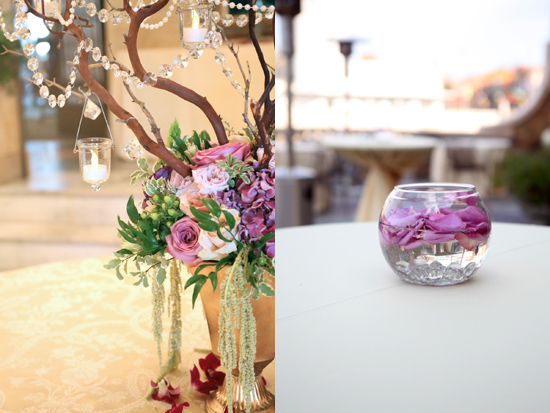 The overall look of the event spaces was even more fabulous than we ever imagined. It was a pleasure working with this couple, as well as the mother of the bride and their wonderful planner, Cynthia of Everlasting Elegant Wedding.